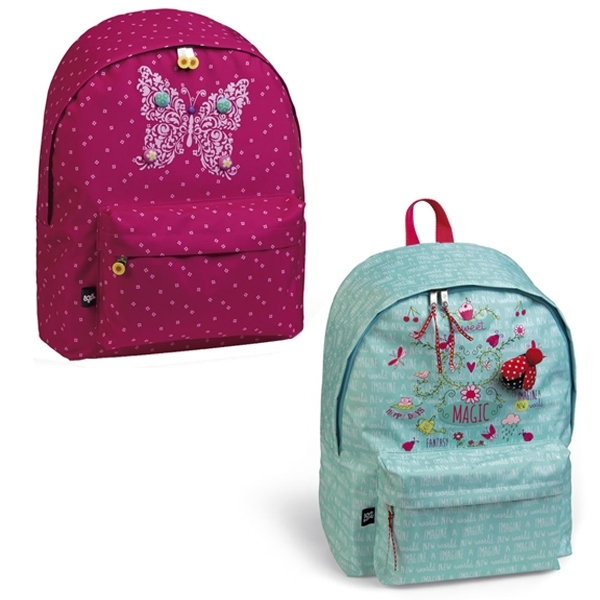 Girls Personalised BackpacksPersonalise for that extra special touch with our eye-catching designs. 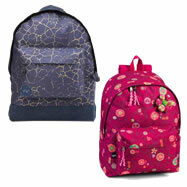 Our toddler backpacks are perfect for little ones to take to nursery. Girl's Busquet Backpacks Fall in love with our unique range of Girl's Back-to-school backpacks. 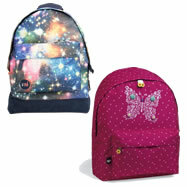 These gorgeous backpacks are not only eye-catching but practical too! Make it Personal!Our diverse range of quilted backpacks by Stephen Joseph are a fun way to carry your little one's essentials. Opt to have a name embroidered for a personal touch. 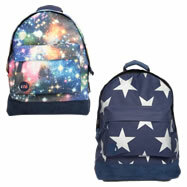 Browse our range of Children's Backpacks, School Backpacks for Girls and Boys as well as Children's Lunch Bags. We have got your favourite brand : From SKip Hop Backpacks to Stephen Joseph Quilted backpacks and Lunch boxes or Wildkin and Mi-Pac for bigger kids. 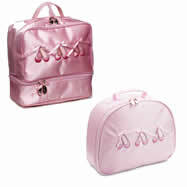 Your child will not want to go anywhere without their trusty little school lunch bag and backpack. 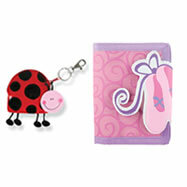 Many of the School Bags come in fun and bright themed designs and will suit any little girl or boy. 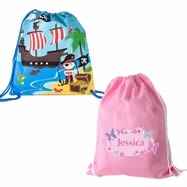 Themes include Pirate backpacks, Owl backpacks, Jungle backpacks, Dinosaur backpacks, Ladybird backpacks, Butterfly backpacks, Transport backpacks, Train backpacks, Aeroplane backpacks and many more. 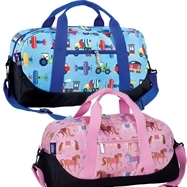 They are all ideal sizes for children to carry their favourite toy, snacks and drink and can be used as over night bags or for nursery, pre-school, or as school bags and during the weekend. 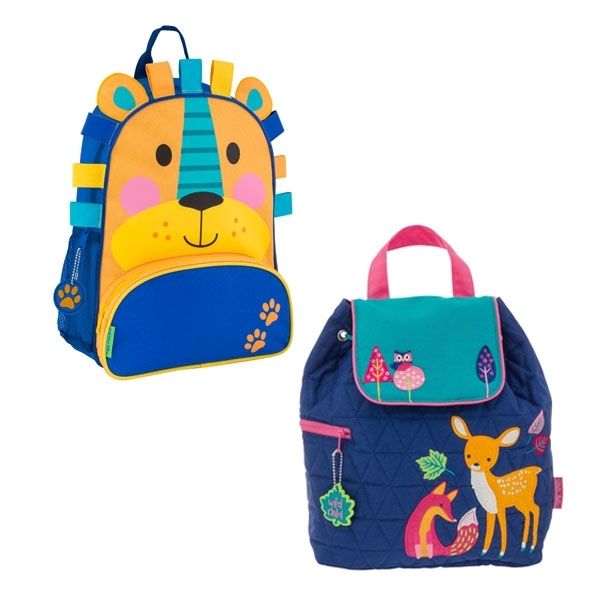 One of our latest range of children's backpacks by Skip Hop Zoo come in ten fun animal characters, Owl, Monkey, Bee, Zebra, Giraffe, Ladybird, Elephant, Lion, Panda and Fox. They offer a roomy main compartment, an insulated pouch and an adjustable mesh bottle pocket. 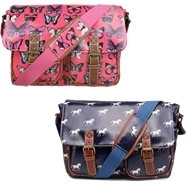 The padded straps are comfortable and adjustable and the bags come with a write on name tag inside. 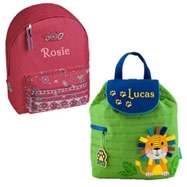 Another range includes the gorgeous Personalised Backpacks from Stephen Joseph, for boys and girls and ideal toddler backpacks for nursery and pre-school.